John is the Founder of the American Exercise and Fitness Professional Association Inc. His career began in 1993. After working in the film industry for seven years, he realized that he wanted to share his passion for fitness with others. He has a B.A. in Kinesiology, option Athletic Training from California State University, Long Beach (CSULB). 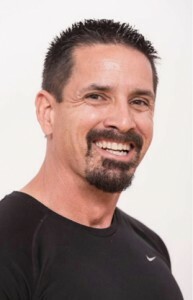 He also is a Certified Personal Trainer through the American Council on Exercise (ACE), a Certified Exercise Physiologist (EP-C) through the American College of Sports Medicine ACSM), a Certified Golf Fitness Instructor through Titleist Performance Institute (TPI) and a Functional Movement Screen Certified Coach. He has recently returned to school to work on a MS in Exercise and Wellness from Arizona State University (ASU). Since 1993 John has worked in a variety of settings, from small studios, neighborhood gyms, to big-box chains. Most of his career has been spent as an independent contractor and small business owner. Those businesses include John Preston Fitness (Personal Training), Fit Wedding LLC, Adventure Boot Camp, Scottsdale (co-owner) and Fitness Know How Headquarters. He has also authored two e-books, 31 Days to Ultimate Health and Secrets of a Personal Trainer. Erik’s passion for fitness began at the age of 12 with Olympic weight lifting and he has been involved in sports as an athlete and trainer ever since. He has excelled in sports performance as an athlete for the University of Arizona and as a competitive Olympic Weight Lifter. Erik created Performance Dynamics to offer structured training programs that deliver real results, catering to all age groups and fitness levels, no matter where an individual might reside. In addition, Erik is the Director of Athletic Performance at Scottsdale Combine in Scottsdale, Arizona. 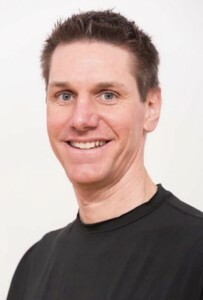 Prior to Performance Dynamics and Scottsdale Combine, Erik was responsible for designing sports performance and fitness programs at Foothills Sports Medicine and Physical Therapy. He evaluated and tested muscular strength, muscular endurance, and muscular flexibility. In addition to his position with Foothills Sports Medicine Institute, Mr. Pence’s career highlights include working as a Strength and Conditioning Coach for the Department of Sports Performance at the University of Arizona in Tucson and as the Strength and Conditioning Coach with the Cleveland Indians professional baseball organization. Erik’s professional certifications include: Certified Strength and Conditioning Specialist (C.S.C.S) through the National Strength and Conditioning Association (N.S.C.A), a Performance Enhancement Specialist (P.E.S.) through the National Academy of Sports Medicine (NASM). He is also a Functional Movement Screen Certified coach, and United States Olympic Weightlifting (U.S.A.W) Coach. After serving 12 years with the United States Marine Corps, Erik received his Bachelors of Science in Exercise and Sports Sciences and a Masters degree in Kinesiology from the University of Arizona in Tucson.